Endemic to Morocco, argan kernels are cold-pressed to extract a rich, expensive oil that can be used for both culinary and cosmetic purposes. 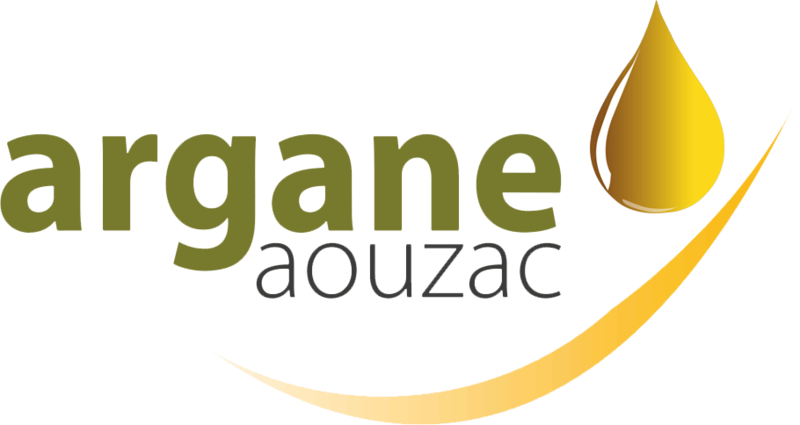 Argane Aouzac argan oils are made with high concentrations of the highest quality certified organic argan oil. The argan nuts are cracked by hand using centuries-old techniques by Berber women in Morocco’s argan region. 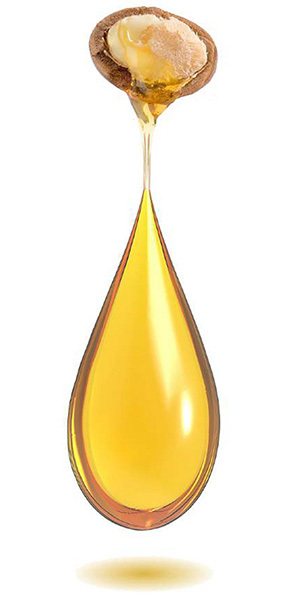 The oil is then cold-pressed using modern equipment to preserve the integrity of the oil. Argane Aouzac Argan Oil is made from carefully selected Argan fruits from the best region of South west of Morocco. Processed in the most natural and original way possible, with no additives or preservatives, we respond to the need of our customers for healthy food and natural beauty. We collect our Argan kernel nuts, by hand straight away after they fall from the tree. We don’t wait for the goats to eat them and throw them again, then collect them. If this happen, then oil will have that acidic goaty smell. Our Organic Argan Oil is as pure as any customer would like to have. It is 100 % first and cold pressed. First and foremost it is important to start with clean skin. For best results try exfoliating unwanted dead skin cells and toxins. Simply apply a modest amount in the palm of your hand and rub gently into usage to remove to the desired areas. Only a few drops are necessary as this is a very rich oil. You will love how it is easily absorbed into the skin without leaving any residue or greasy feel. May be used on a nightly basis while we recommend a minimum of twice weekly application. For convenience, we prefer in the evening just before bed as well as finding that night time is ideal for skin cell regeneration. Take a small portion in the palm of your hand and rub into your hair and scalp. Make sure to gently rub into your scalp all the way to those split ends. Remember, only use a modest amount to start. If you feel you require more then repeat. Leave a few hours or over night and then wash thoroughly. Your hair will be shinier, bouncier and a dream to work with. Style as you normally would including blow drying or hair straightening. Argane Aouzac edible argan oil is made from the highest quality roasted almonds which are cold pressed without chemicals to ensure the best nutrition and flavour. Argan oil may be more resistant to oxidation than olive oil and is made up of 80% fatty acids. Essential fatty acids cannot be synthesized by humans and must be obtained through diet. The special composition of argan oil which consists of unsaturated fats, sterols, vitamin E and omega 3, 6, 9 fatty acids make it one of the most potent plants for both health and beauty. The oleic acid content makes it effective at lowering cholesterol, the prostaglandins formed in the body after the consumption of the oil improves circulation, boost immunity, and suppresses inflammation. The vitamin E acts as a powerful antioxidant by neutralizing oxidative stress. The linoleic acid helps with rheumatologic conditions and vascular problems. In fact, argan oil is a laboratory in itself and provides valuable resources to combat cell damage, early signs of aging and has anti-neoplastic (anti-cancer) properties. In addition, a 2004 study found that rats fed a diet containing argan oil had significantly lower blood pressure than the placebo group. The anti-free radical activities come from the vitamin E, squalene, essential fatty acids, and carotenoids. Squalene is nutrient-rich antioxidant oil with the ability to anchor itself to cell membranes, and is involved in cell growth and development as it is a precursor of cholesterol, vitamin D, and all the steroid hormones in the body. First pressed argan oil contains 3,100 mg/kg squalene, which is a much higher quantity than within olive oil. Argan oils ability to redefine the body and minimizing aging makes it the newest means to stay healthy – all the years of your life. Helping the prevention of cardiovascular diseases and obesity. Uses: Argan oil makes a great finishing flavour when drizzled over grilled fish, couscous and salads or as a dip for bread.